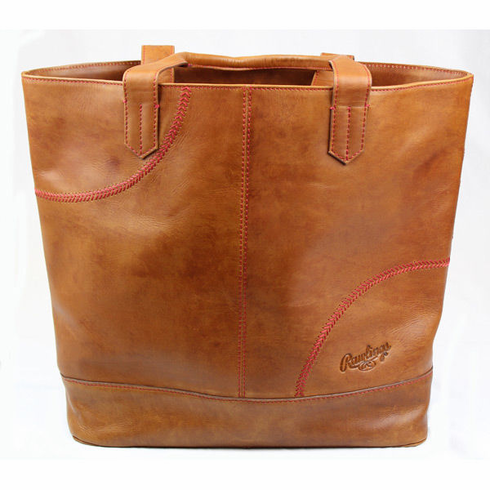 Rawlings Leather Baseball Stitch Oversized Tote Bag. ~ Measures appx. 14" x 19" x 6". ~ Solid red twill lining with Rawlings red patch inside.